Eiryukan was founded by Sensei Neville Coupland, an Aikido instructor with over 10 years martial art experience. For 5 and a half years, he trained in Japan under one of the world’s greatest Aikido masters, Sensei Ando Shihan. Aikido is a totally stunning martial art to study and learn. If you have a spark of interest, try it. You will know if you love it, straight away. It has mulitple levels of study and depth which can provide a life long learning path. All Eiryukan Aikido classes are crafted to deliver this authentic training method, which creates quality martial skill. We offer genuine first hand instruction, as close as possible to the training manner used in Japan. Trained by the world’s best! 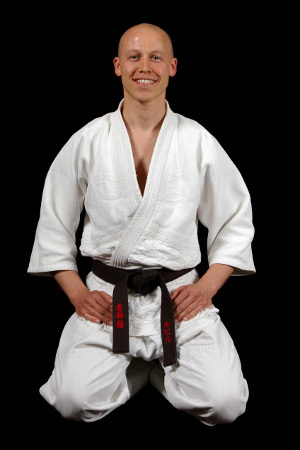 Sensei Neville’s own training history and experience is rooted to a rich ancestry. His sensei, Ando Shihan, is an 8th dan Aikido master who trained as an in-house student to Shioda Gozo, the creator of Yoshinkan Aikido, who himself studied under Morihei Ueshiba, the founder of Aikido itself! For more information about Sensei Ando Shihan’s Aikido, visit Ryu Dojo at the school’s website. This is where Sensei Neville completed the Tokubetsu/Special Detail, training course in 2005. 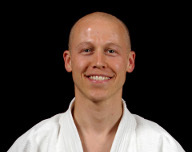 For a visual, click here to see the Senshusei Training Course which he graduated from in 2006 at the Yoshinkan Headquarters, Japan. This course is for training the Tokyo Riot Police section and those who wish to become Aikido instructors. For further details, you may be interested in reading, Angry White Pyjamas: which is an excellent account of the incredible year-long, Yoshinkan Aikido course. The name “Eiryukan” was given to Sensei Neville Coupland by Sensei Ando Shihan, after completing his year-long intensive tokubetsu course. Eiyukan translates as English Dragon School. If you would like more information about anything you have seen or read on this page, please feel free to contact us 07925 188 363 We will be more than happy to answer any questions you may have and chat about Aikido benefits for you.